Back in February, I blogged about the former Woolworths store in Sunderland’s Fawcett Street, which closed in 2004 following its acquisition by Primark. 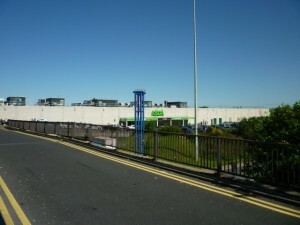 At the time, I noted the curious lack of Woolies stores left on Wearside at the point of the retailer’s 2008 administration, with Houghton-le-Spring (#448) the last one remaining in the Sunderland area. As I’ve dug around more, however, it’s become clear that there are even more old Woolies on Wearside than I thought, with long-closed stores at New Washington (#1014), Seaham and Pennywell (#817), as well as the fairly short-lived Woolco (#2007) at Washington Galleries. 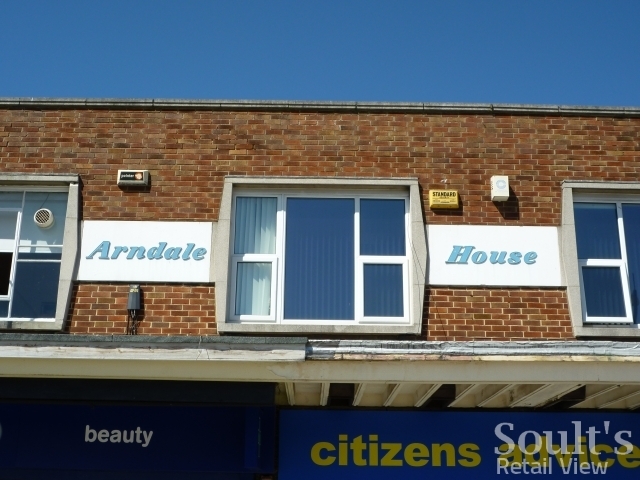 I’m imagining that the former Pennywell store is no more – perhaps demolished as part of the redevelopment of the estate’s shopping centre? 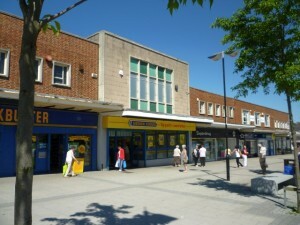 – but I’d be curious to know when the store closed, where it was, and any memories of shopping or working there. I’ve got the store number – #817 – from an old edition of The New Bond, which would suggest that it opened in 1953. Over to New Washington though, and I was alerted to the existence of that store by a photo, from 1959, on the Woolies nostalgia site, 100thBirthday.co.uk, which I found when hunting out information on Washington’s Woolco. 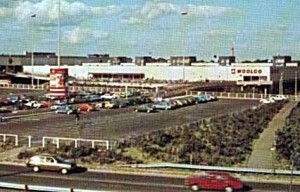 According to the site, the New Washington store was a fairly late addition to the Woolies estate, opening as a self-service store in March 1959 in the then-new Arndale Centre. Apparently, however, business suffered once the enormous Washington Galleries Woolco opened down the road in 1970, eventually leading to the store’s closure in 1984. 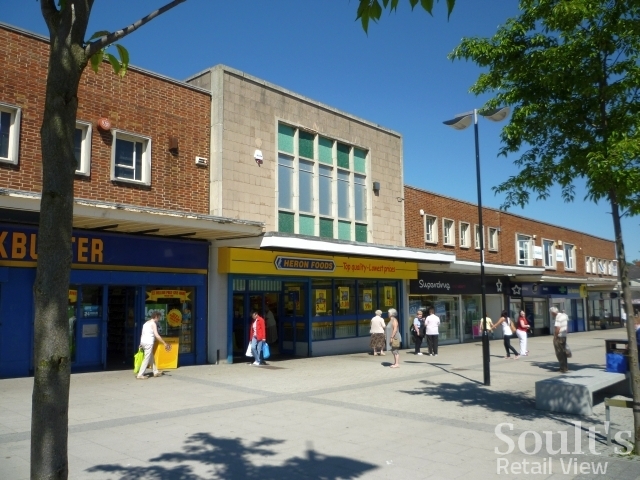 It’s conceivable that the New Washington shop may have survived if it had only hung around a little longer, given that the Woolco estate was itself disposed of shortly afterwards – 100thBirthday.co.uk says 1985, Richard Hawkins 1986 and the Sunderland Echo 1988. [broken link removed] Perhaps someone can advise on when the correct date actually was? Naturally, I was curious to track down the New Washington Woolies and, indeed, to see whether the building was even still there. The first hurdle was working out where exactly New Washington was, given that it was a name I’d never heard used before. However, a little bit more digging – including references to ‘New Washington Post Office’ – helped me pinpoint the location as what is known today as Concord, close to the busy Concord bus station. 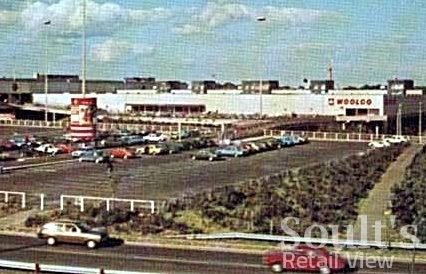 Apparently, New Washington – now Concord – was the commercial centre[broken link removed] of Washington new town prior to the building of the Galleries in the 1970s. Happily, I found that the Arndale Centre is still intact, and that the former Woolworths property is still completely recognisable as the store featured in 100thBirthday.co.uk’s shot from more than fifty years ago. In fact, the whole parade is still rather handsome, with the façade of the former Woolworths unit retaining what looks to be its original green mosaic tiling – quite a delightful architectural feature. 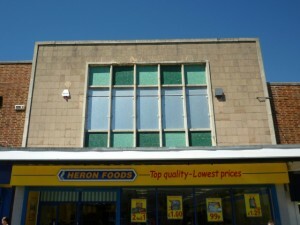 It’s just a shame that the first floor windows – open in the 1959 shot – have subsequently been blocked up. 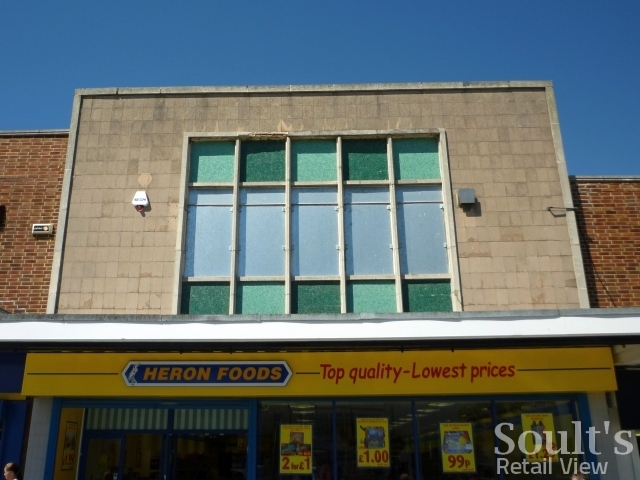 Fittingly, however, the unit is now a Heron Foods, a status shared with quite a number of those Woolies that only closed down eighteen months ago. Meanwhile, over at Washington Galleries, the main architectural clues to the former status of Woolco – now Asda – are its vast size, and the fact that the interior of the building still has something of the feel of a 1970s structure. 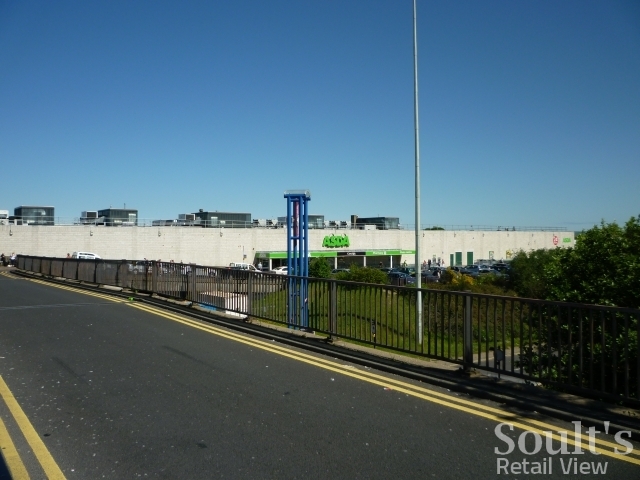 At the time, of course, shops of that size – while common today – would still have been few and far between, in the days before Asda Supercentres and Tesco Extras had been thought of. Against this backdrop, it’s easy to imagine how exciting and impressive the enormous Woolco must have seemed when it opened forty years ago. Shots of the Washington Woolco seem quite hard to come by, but I’m grateful to Peter for finding the 1970s photograph above in a little book called The Visit of President Carter and Prime Minister Callaghan to Washington New Town, 6th May 1977. As with the New Washington store, it’s remarkable how similar the building looks now to how it did decades ago – compare the colonnaded entrance, for example. 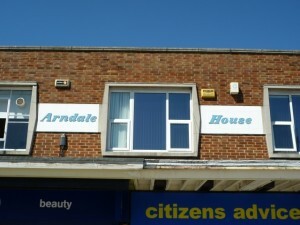 Other than the signage, and the models of cars in the car park, little else has really changed. While Washington’s two very different Woolies are both long gone, a little bit of retail history is certainly still readable in the buildings that used to house them. I know that Gateway(now ASDA) opened on the Woolco site on the 13 February 1987, so the closure must have been before that.